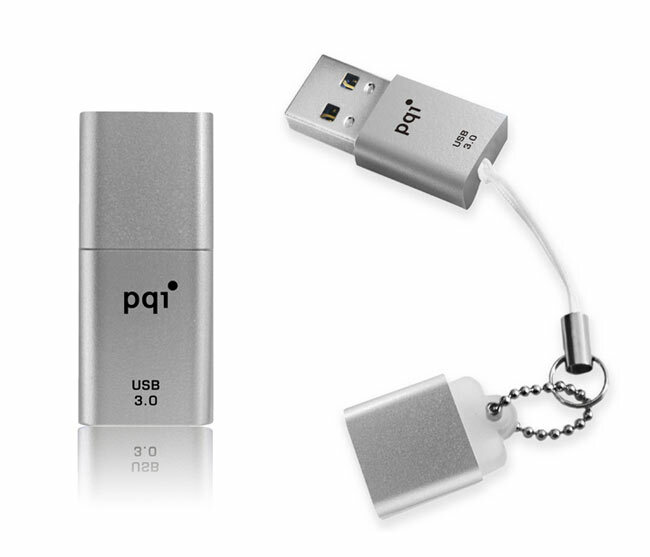 PQI have this week unveiled their tiny USB 3.0 storage device, the Intelligent Drive U819V which PQI say is currently the worlds smallest USB 3.0 flash drive. This tiny storage device measures just 3cm long and offers data transfer speed of up to 5 Gbps/sec, 10 times faster than USB 2.0 which is around 480 Mbps/sec. The pocket USB 3.0 drive has a clean and smooth curving design with a small LED at the top of the flash drive indicates data transfer by flickering when data is being read from the device. The tiny Intelligent U819V flash drives are available in storage sizes ranging from 4GB up to 32GB and are both USB 3.0 and backwards compatible with USB 2.0. For the latest information about the PQI range of storage device, jump over to PQI’s online store.